You know the old adage- "a place for everything, everything a place". Now lets not be mistaken when I'm in the deep throws of creating my craft space looks like most, but I have made it a habit to clear up and put away after each session, everything to a specific place. I often get asked to help out others in getting their spaces sorted too, so I thought I'd share a few ideas that might be helpful to others as well. Other Ribbon storage idea. (only downside can get dusty- but you'll be using them more hey LOL! Try to store product that can be faded away from open spaces and sunlight, it also keeps dust off your product. You can buy A4 sized clear plastic, pressed stud wallets that are great for storing your individual colours of cardstock, Also in some craft supplier outlets you can purchase 12" v 12" (30cm x 30cm) size plastic wallets for your 12" square sheets of patterned paper. Or alternatively clear zip lock plastic bags to keep each individual patterned paper family together. If you have lots of odd assortments you may decide to store them in shades- ie. creams, browns, reds, blues etc etc. Sometimes these can be found from your local catering wholesaler- most sell to the general public as well or alternatively found on the Internet. When you've done a fair bit with a particular patterned paper but still have good bits left over- give away to a friend or group, it keeps your stash fresh to you and allows more space for refills LOL! Store Die cut dies ie. Bigz Dies, Framelits, Embossing Folders in Purpose made containers or CD box storage boxes. They all have bookplate labels so you can identify your box as well. 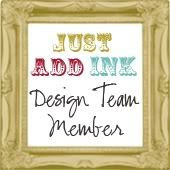 They are available from your Stampin Up demonstrator, cardboard variety from office suppliers or your local Ikea. In some instances you buy them in 2 packs. Stampin Up has a purpose made version that can also be built upon and makes for easy transportation to retreats/ workshops etc. There is also hand-crafters that make ones out of MDF etc, for more permanent storage in your craft space. Best if inks are stored upside down, to keep ink at the surface of your ink pad. I do like this about the way Stampin Up ink pads are made to store this way automatically. Keep your stamping blocks together in a caddy and keep your blocks cleaned to insure a long life's use from them. Stampin Up sells this caddy shown below. Their Clear blocks are of very good quality and its best to keep them in clean condition, less opportunity for scratching- thus making your stamps awkward to cling if that becomes the case. Don't throw away the foam inserts that come out to put your clear blocks away, they make great piercing pads or needle storage. For Stamp sets there is various ways to keep them organized too. Whether you have preference for 'Cling Mount' stamps or Wood Mount, both come in purpose made containers. 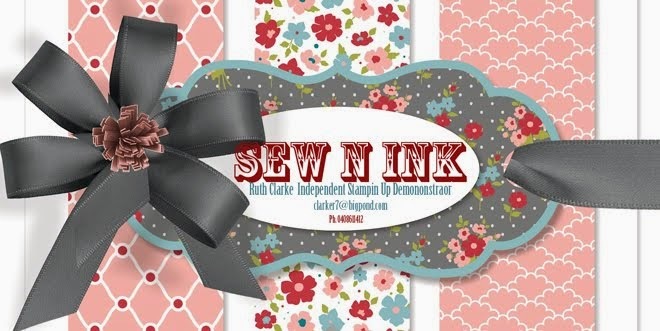 My preference is for 'Cling' (clear) mount stamps as not only can you see the surrounding space around your stamp for better judgement of placement but the DVD like containers they are stored in take up less space in your craft stash- this is always important. Over cluttered craft spaces don't mix well with craft time output. The wood choices come in their own cases (with the wooden blocks included) and are just over 1" high. 'Clear Mount' or 'Cling Mount' to use with the clear Blocks come in a DVD style case and so are more slimmer to store. **** A little tip too- Don't throw away the surrounding rubber bits of your stamp set, it is much easier to see if you have any stamps missing when there is a space left empty as oppose to just having the actual stamps on their own. This becomes very apparent when you are sharing them around at retreats/workshops, classes etc. Here is a pic care of a another demo- mount your stamps but keep the surrounding rubber, it all naturally clings to the bottom of your case, keeping things intact. If your stamp sets come without storage you can either purchase these clear cases or use those plastic slip in binders. There is DVD tower furniture available not only at your local $$$ stores at very reasonable prices but also at most department stores and again at IKEA- available in various colours. I'm a fan of white because in my opinion it creates the look of 'more space'. and light which is important in a creating environment. Alternatively you can store your stamps on a book case or purpose built cupboard much like a pantry style cabinet. Have a tool caddy for your commonly used toys- ie. pencils, rulers, scissors, pierce pads, piercers, distressing kits etc etc these are available at most craft outlets and $$$ stores. Also little cases below like this are great for example - all your adhesive needs in 1 spot- high rise lid allows for plenty of product LOL! Punches can be stored either on a shelving system or on steel rails attached to your craft wall space. Alternatively here is an idea below if you can't have something affixed to a wall. Cabinets that have drawers are excellent because you can pull out the space towards you in order to locate an item easier and its contained , rather than falling off a shelf. Keep Electronic Equipment together in one station point- ie. computer, printer, scanner, great if these are located as well near your work station; great for embossing (power point close for your gun) hot glue work etc. Sewing Machine etc. Display your craft. Its a good idea to showcase your work, if not for others but for yourself in your craft space. Not only does it give you the opportunity to admire and appreciate your efforts, and make that opportunity available to others - sharing the inspiration, but also allows you to study the project, to learn from, critique and build upon in following projects. You may choose to display 1 item at a time on a plate stand set up or have a cork board or metal notice board on your craft space wall. I used to use the cork variety but have taken to preferring the metal boards which come in a variety of colour choices - black, white, steel and would you believe Orange LOL!- I got mine from IKEA. They retail at about $20 each. stored in a 1 place folder. I made altered this case years ago as a Scrapbooking Masters entry. It has served me well, though it looks tatty in places now. Keep all software discs, added componants ie- CD disc trays, negative sliders, warranties, instruction books, receipts for your electronic equipment, saves a lot of heartache when they are needed and lets face it sometimes we need to reload some software when our computers seem to forget the relationship they have with other equipment. The more you can do yourself the more it saves you time or money getting outside help. In final conclusion of this wordy/photo ladden post, all I can add is the less 'clutter you have around you, the less your creative mind will be cluttered as well'. So the only things you really want of display is those things that are regularly used or electronic equipment that needs air flow for safety. If you have a specific place for things that you habit-ably put time and again, you will be able to achieve much more enjoyment in what little time most of us get to indulge. LABEL EVERYTHING (Easily done with a portable printer labeler) - extremely important!!! Its not necessary to be an over organized OCD to achieve a happy, workable, creative space to function and get maximum enjoyment either. Well hopefully this post has been helpful, have a great weekend, cherish the time you have in life to spend creating but most of all the company of family and friends. **ps. if any photos are not watermarked with my name the images have been found for the sake of photo example off the internet. Great post Ruthy, so many great storage ideas and practical too! Wow Ruthy! So many great ideas in this post! I love the clear sleeved book idea for lettering, stickers etc. So simple! So neat! Goodness! This is a very "organized" Post! haha.